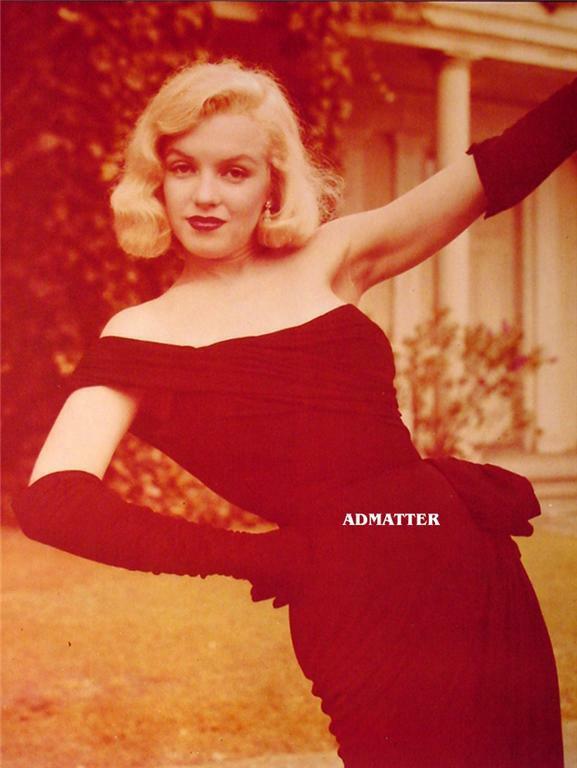 Home » Admatter's booth » Marilyn Monroe Old Pin-up Poster Print Stunning Photo! Marilyn Monroe Old Pin-up Poster Print Stunning Photo! OFFERING UP FOR YOUR CONSIDERATION TODAY, IS AN AWESOME VINTAGE PIN-UP PRINT OF MARILYN MONROE! Presenting a Vintage Pin-up of the world's sexiest woman.....MARILYN MONROE! I WILL BE LISTING SEVERAL MARILYN PIN-UP PRINTS THIS WEEK FOR YOUR CONSIDERATION! THESE PIN-UP'S ARE FROM A COLLECTION I AM PARTING OUT. THE AGE OF THE PRINTS ARE BETWEEN 15 AND 35 YEARS OLD AND WERE OBTAINED FROM MAGAZINES , BOOKS AND OTHER PUBLICATIONS. THEY HAVE BEEN CAREFULLY MOUNTED WITH ACID-FREE DOUBLE-SIDED TAPE TO A BLACK PAPER BACKER. THIS WAS A REALLY NICE PROCESS AS IT LEAVES NO EVIDENCE OF PAPER DISTORTION OR RIPPLING FROM GLUE. IT MEASURES 8 1/2" X 11" AND WOULD LOOK AWESOME FRAMED OR FITS PERFECTLY INTO A POCKET PAGE FOR YOUR SCRAPBOOK! THE WORD "ADMATTER" WILL NOT APPEAR ON YOUR PRINT! PLEASE NOTE: THIS IS NOT A PHOTOGRAPH IT IS A FIRST EDITION PRINT REMOVED FROM A PUBLICATION! ***There are many items ready to 'buy it now' in my store!!!! *** * * * * * * * * * * * * * * * * * * * * * * * * * * * * * * * * * * * * * * * * * * BUY IT NOW!!! Don't miss out on this RARE item!!!!!! * * * * * * * * * * * * * * * * * * * * * * * * * * * * * * * * * * PLEASE REMEMBER TO CHECK OUT MY OTHER ITEMS I HAVE UP FOR SALE THIS WEEK!! SAVE ON S H ONLY 1 EXTRA FOR EACH ADDITIONAL FLAT ITEM WON! I accept the following types of payment: PAYPAL USA 4.95 WORLDWIDE 8.95 WE COMBINE SHIPPING! PLEASE ADD An additional 1.00 for EACH flat item won whensales are combined! YOU MUST PAY FOR ALL YOUR ITEMS AT 1 TIME TO RECEIVE THIS DISCOUNT!! This item will be shipped FLAT sandwiched between cardboard "FOR ULTIMATE PROTECTION" We pride ourselves in packaging your investment properly! AS PER THE RULES YOUR BID IS A CONTRACT PLEASE Do NOT bid on this item unless you fully intend on paying! If you are the winning bidder, you will enter into a legally binding contract to purchase the item. Failure to pay will result in a non-paying bidder report being filed you will then be awarded a strike against you! If you are win this item please pay within 7 days ofsale ending to avoid the above process from being initiated! Please email me with any questions you may have. Quality Memorabilia brought to you by Use the FREE Counters 1 million sellers do - Andale!